The newly designed high definition ED lens on Vixen's ED115S Refractor gives excellent optical performance with its Super Extra Low Dispersion (SD) glass. Chromatic aberration is virtually eliminated. The Sky at Night Magazine states: "Vixen's optics was excellent. The scope corrected false colors almost perfectly when in focus. Pointing the scope at the stars showed the optics to be pretty much perfectly corrected". The new SD lenses feature brighter images from the shorter f/7.7 focal ratio to capture crisp, pinpoint star images for your enjoyment. The ED115S Refractor's lenses are made with environmentally friendly technologies, free of hazardous lead that helps to support a cleaner global environment. The astro-photographer will be especially pleased with the high contrast images through this telescope and the full objective diameter of 4". The SD lenses focus all visible rays of light at nearly the very same position. This ensures that the chromatic aberration is highly corrected over a wide spectrum of light. Of special note is the g-ray light, which affects image contrast, is well suppressed. The ED115S comes complete with 125mm tube rings, flip mirror, finder scope and bracket. Covered by a 5 Year Warranty. Manufactured in Japan. 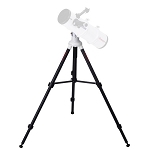 The Vixen ED115S Refractor is a great telescope for those transitioning from visual to imaging astronomy, and can be used well for both purposes- though it does excel far more as an imaging scope to be certain. 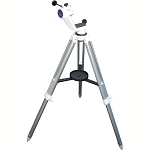 This Apochromatic Refractor boasts excellent contrast, near flawless color correction, and incredibly bright and sharp images- all owed to its splendid design and top quality optics! 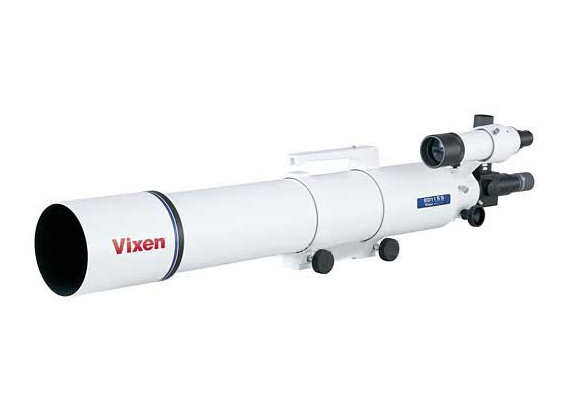 The Vixen ED115S Refractor helps the astronomer who uses it to produce images near absolutely free of any chromatic aberration of any kind, and at the same time also provides high contrast, sharpness and precision on a wide array of targets.